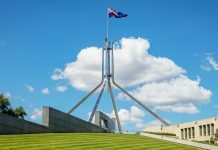 [post_content] => Following the announcement of this year’s Federal Election date, PSA looks forward to working with an incoming Government to support a healthier Australia by making better use of the pharmacist workforce. PSA National President Dr Chris Freeman said Australia had a world-class healthcare system, but it faced many challenges. Pharmacists, however, are well placed to increase access to care and improve patient and medicine safety. 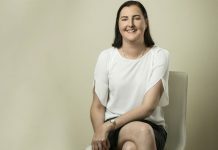 ‘PSA looks forward to working with an incoming Government to improve medicine safety for all Australians by empowering pharmacists to better meet the needs of the community,’ Dr Freeman said. ‘Our Pharmacists in 2023 report outlines 11 key actions to improve the health of all Australians through better access to care, medicine safety and use of pharmacists’ expertise. ‘To meet community health needs, we must ensure pharmacists can practise to their full potential, develop within a team of health professionals and have a quality agenda for the services they deliver. Address the alarming rate of medicine-related harm in our health system by declaring medicine safety a National Health Priority Area (NHPA). ‘Medicine-related problems cause 250,000 hospital admissions and 400,000 emergency department presentations in Australia each year, costing the healthcare system $1.4 billion annually. At least half of this harm is avoidable,’ Dr Freeman said. ‘Pharmacists are the stewards of medicine safety. Their primary responsibility at all times is to ensure medicines are used safely and effectively. Provide funding to embed pharmacists within healthcare teams, particularly in residential aged care facilities. ‘Ninety-eight per cent of people living in residential aged care facilities are taking at least one potentially inappropriate medicine,” Dr Freeman said. Accept the Medicare Benefits Schedule (MBS) Review Taskforce’s recommendations to allow pharmacists to access allied health items to provide medication management services to patients with complex care requirements. ‘While GPs can include pharmacists in healthcare teams, this rarely happens because pharmacists are excluded from the list of eligible allied health providers and are therefore restricted by the current funding structures to be part of healthcare teams,’ Dr Freeman said. Align the incentives for pharmacists to support rural and remote communities with those of other rural and remote health practitioners. ‘The seven million Australians living in rural and remote areas are more likely to have chronic conditions and poorer health outcomes than people in major cities,’ Dr Freeman said. Include PSA as a signatory to the Community Pharmacy Agreement. PSA welcomes recent commitments by the Federal Health Minister Greg Hunt that PSA will be a signatory to the Seventh Community Pharmacy Agreement (7CPA) and from Labor’s Shadow Health Minister Catherine King to ‘early and inclusive’ negotiations for the 7CPA. ‘Pharmacists are among the most accessible health professionals. Every day they use their clinical training to care for patients across the country,’ Dr Freeman said. [post_content] => [vc_row][vc_column width="2/3"][vc_column_text]What are the health questions Australian most want answers to? Data from Medicines Line, the NPS MedicineWise pharmacist-staffed information hotline, has revealed common medical concerns, and a particular demand for information about antidepressants. 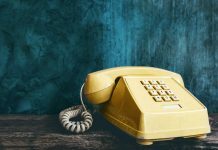 The free telephone line, which was established in 2010, is staffed by experienced pharmacists who are able to provide callers with up-to-date, evidence-based information about over-the-counter, prescription and complementary medicines. Medicines Line has answered over 70,000 questions from the general public, revealing valuable insights for community pharmacists about the issues callers have with medicines. Callers frequently asked about antidepressants (7%) – with 72% of enquiries about medicine interactions and 58% about side effects. Nerida Packham, pharmacist and Medicines Line Team Lead at NPS MedicineWise, told Australian Pharmacist that the volume of queries speaks to a need for ‘factual, evidence-based information’ about antidepressants, particularly around starting and stopping the medicines and when they should start to work. Ms Packham noted that there was also a high volume of questions about pain medicines, reflux medicines and complementary medicines, noting that questions were commonly about side effects, medicine interactions and the impact of certain medicines on pregnancy and breastfeeding. She said that an understanding of the common questions from callers can help community pharmacists better serve their patients. ‘When pharmacists are aware of common consumer questions, it can be of assistance when dispensing medicines and counselling patients. Providing additional information at the time of dispensing can ultimately help improve patients’ understanding of medicines and medicine adherence,’ she said. Ms Packham also pointed out the value of a hotline in situations where the process of physically going to a pharmacy might be a barrier to accessing reliable information about medicines, noting that many of the calls are enquiring about the interactions between over-the-counter and prescription medicines, or side effects that haven’t become apparent until after the medicine is dispensed. While Medicines Line can’t replace face-to-face advice from a doctor or pharmacist, Ms Packham said that the service is a valuable method of increasing medicine literacy amongst patients. [post_content] => Pharmacists should be actively contributing to patients' My Health Record (MHR) in order to unlock the full potential of digital transformation, said Dr Kenneth Lee, a Clinical Reference Lead, pharmacist and Digital Health Leader for the Australian Digital Health Agency (ADHA). 'Signing up to the system is an important first step. However, patient records are only as useful as the information contained within them,' said Dr Lee, who is also a senior lecturer in pharmacy practice at the University of Western Australia's Faculty of Health and Medical Sciences. PSA’s Pharmacists in 2023 report emphasises the importance of empowering pharmacists to be responsible and accountable for medicines safety (action item 1). This can be achieved in part through embracing digital transformation (action item 11). Dr Lee said digitally transformed pharmacies that are synced up to MHR will see far-reaching rewards. 'They will be able to reap the benefits of a rich repository of clinical information by enabling their pharmacists to use the system to make well-informed clinical decisions,' he said. MHR will give pharmacists the ability to see medicines that have been dispensed; fuller histories will help reduce errors from decisions made in silos and improve shared health summaries. However, the record cannot be assumed to be a complete and accurate record of a patient's health information. But that's just the beginning, Dr Lee suggested. 'Over time, with a greater demand for more active contributions to the MHR system by pharmacists, pressure can be exerted on software vendors to enable pharmacists to contribute to a patient’s MHR,' he said. regular training to ensure all staff are aware of the requirements around data security, patient privacy, and (for pharmacists) clinical utility. For those making the transition to MHR, resources are widely available. 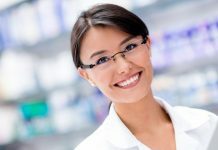 PSA has published MHR Guidelines for Pharmacists, Accessing MHR via Conformant Software, Accessing My Health Record via the National Provider Portal,  Information Security Guide for small healthcare businesses and Frequently Asked Questions booklet, and offers various training modules including: overcoming barriers to MHR implementation in pharmacy, MHR for accredited pharmacists and Digital Health modules. 'PSA, the Pharmacy Guild, and the ADHA have online training resources that range from videos and computer simulations demonstrating various aspects of the system, to more traditional topic presentations,' Dr Lee said. Dr Lee said the full benefits of the system will be realised in coming years. Dr Lee said pharmacies must 'move with the times' in order to ensure 'equity in healthcare delivery'. 'We simply cannot provide the best possible patient care when our clinical decision-making is based on limited clinical information,' he said. [post_content] => Consumers desire greater specialisation and increased services from the pharmacy profession, which should be front of mind in community pharmacy practice. Consumer input into pharmacy service design, demand and need is highly valuable. This is highlighted in the Pharmacists in 2023 report, which demonstrates that consumers are well aware of the gap in patient care in the healthcare sector that can be effectively filled by pharmacists. In 2017, PSA commissioned the Consumers Health Forum to conduct a consultation forum with consumer advocates and a population-based survey of Australian consumers. Over 1,000 consumers participated in the survey, who were nationally representative in terms of age, gender and location as measured by the 2017 Census. Many regularly visited pharmacies for health-related reasons, with 42% having visited a pharmacy for a health-related reason 13 or more times in the last 12 months. More than half (57%) reported high use of prescription medicines. The participants were asked about their current and potential use of services. 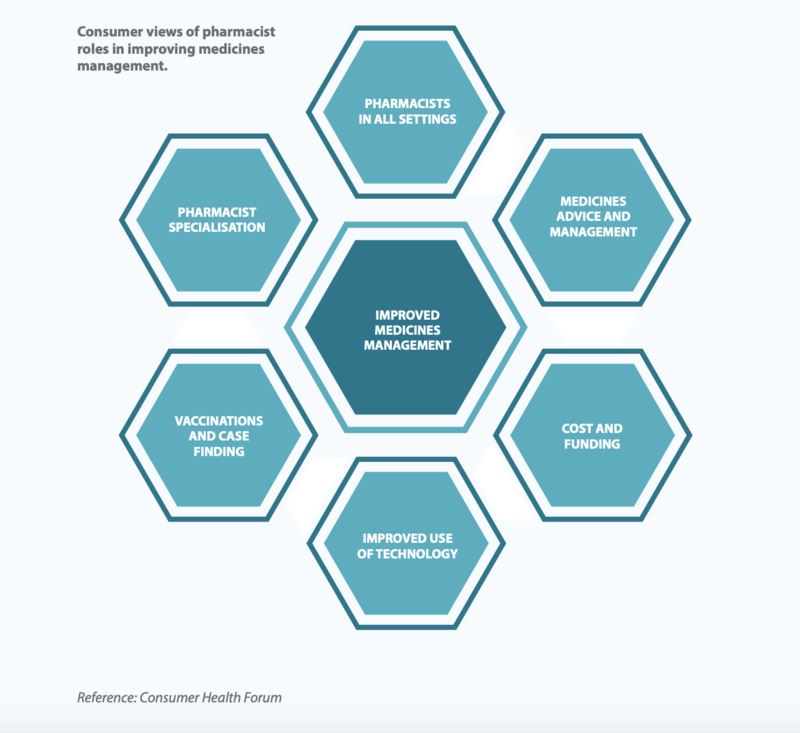 Consumers clearly said they wanted pharmacists to focus more on helping them manage their medicines. The respondents reported that this central outcome of improved medicines management must be supported by six enablers of: specialisation, medicines advice and management, vaccinations and case finding, improved technology use, improved accessibility and funding and having the expertise of pharmacists available in all health settings. Consumers would like to see pharmacists included as part of collaborative healthcare teams (72%), as well as present in general practices to provide advice on medicine management (70%) and reconciling medicines (69%). Expanded pharmacy immunisation services also factored highly (68%). Consumers value the traditional walk-in services offered by community pharmacies, but often find it difficult to locate pharmacists that specialise in areas of need, such as pain management. This challenges pharmacists to better communicate their training and skills in specific healthcare areas. Building on the value of walk-in services, consumers said they would appreciate more pharmacists being available to give healthcare advice (a greater pharmacist-to-consumer ratio) and the development of genuinely private counselling spaces to discuss issues, particularly where privacy and stigma were of concern. 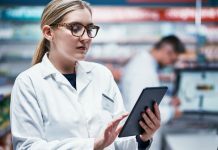 Consumers suggested that they would value an increased use of technology within community pharmacies, with electronic health records considered to provide pharmacists with accurate and reliable access to information about patient diagnosis and the provision of medicines. My Health Record (MHR) was the favoured electronic health database to implement in community pharmacies, due to the completeness of the record offered. Prescription records, available through MHR, were seen as a way to cease or reduce medicines errors. Action item 11 – Embrace digital transformation to improve the quality use of medicines; support the delivery of safe, effective and efficient healthcare, and facilitate collaborative models of care. To find out how these consumer needs can be addressed, read the full Pharmacists in 2023 report here. The report, produced in conjunction with Deloitte Access Economics, measured the impact of chronic pain by analysing data from the health, ageing and disability sectors. ‘Restricting the activities people can undertake, chronic pain can reduce a person’s ability to work, disturb sleep and cause fatigue, and have a detrimental impact on relationships,’ said Associate Professor Malcolm Hogg, Head of Pain Services at Melbourne Health, and Painaustralia Director. 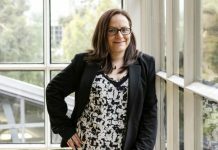 Associate Professor Hogg also noted that the rise in deaths associated with prescription opioid use in Australia indicates that chronic pain is not being adequately addressed. The report suggested an investment in GP training programs and multidisciplinary care could vastly reduce the economic burden of chronic pain as well as lead to a decrease in prescription opioid-related deaths. But an investment in pharmacy services and expertise would also help to ease the burden of chronic pain. As identified in action seven in the Pharmacists in 2023 report, specialisation and advanced pharmacy practice will help to address existing and emerging health challenges in Australia. As the Painaustralia report identifies, chronic pain is a significant burden. While a national approach to workforce planning, formal recognition of practitioner development and a consistent and inclusive approach to collaborative care is necessary, pharmacists can take control of their own development. Pharmacists need to be aware of pain resources to refer patients to, such as those offered by Painaustralia, Chronic Pain Australia or PainWISE. There are also pain management programs linked to Primary Health Networks (PHNs), such as PHN North Coast or the Pain Management Network (both in NSW), or the Persistent Pain Program on the Gold Coast. Through the sixth Community Pharmacy Agreement, PSA has supported the Chronic Pain Medscheck Trial – developing  guidelines, support tools and modules to help patients self-manage their chronic pain and improve their quality of life. PSA also provide CPD modules for pharmacists to educate themselves about chronic pain, such as Overview of pain and pain management: Part 2 - Chronic Pain. The use of real-time prescription monitoring systems in pharmacies, such as SafeScript in Victoria and DORA in Tasmania and the ACT, can improve clinical decision-making and help to identify and prevent medicine misuse.2 SafeScript was recently launched across Victoria, a move welcomed by PSA. ‘Pharmacists and prescribers play a vital role in using SafeScript to improve patient safety by reviewing their patients’ prescription history for high-risk medicines,’ PSA Victorian President Benjamin Marchant said in a statement. When patients come into a pharmacy for an opioid prescription, pharmacists are well-positioned to identify symptoms of anxiety and depression that could be an undiagnosed condition or linked to chronic pain. This includes being alert to physical, psychological and behavioural signs and symptoms of anxiety and depression such as avoidance of situations which cause anxiety, increased use of alcohol or sedative medicines, indecisiveness, fatigue or fear. Pharmacists can refer patients to BeyondBlue where they can complete checklists to monitor their mental health or get support through online forums, national helplines or find a local mental health professional. Pharmacists can also refer patients to crisis services such as Lifeline or suggest that they see their GP for a referral to a specialist. Painastralia and Deloitte Access Economics. The cost of chronic pain in Australia. March 2019. [post_content] => Atopic dermatitis (eczema) is an inflammatory skin condition that mostly affects young children. However, a recent report shows it may affect older adults more often than previously thought. The report, published in the Annals of Internal Medicine, shows a U-shaped prevalence curve in which prevalence is highest among children and teens. Ten to 25% of children in industrialised countries have the condition. The curve then dips to its lowest point for young and middle-aged adults, before spiking again for people aged 74 years and older. The cumulative lifetime prevalence of atopic dermatitis was found to be 9.9%. The annual mean prevalence among patients up to 17 years was 12.3%. The rate then declined to a mean of 5.1% among adults aged 18–74 years. In patients aged 75–99 it rose again to 8.7%. That is, the rates of active disease were found to be highest among children and older adults. Dr Stephen Carter, Lecturer at the School of Pharmacy at the University of Sydney and PSA NSW branch representative, told Australian Pharmacist: ‘I am unaware of any (previous) data on the prevalence, nor about the incidence (new cases identified), within this age group. Most researchers tend not to specifically target people over 75’. What makes elderly skin susceptible to atopic dermatitis? environment and the tissues beneath. According to Dr Carter, this happens because of epidermal thinning, essentially from the loss of elastin and collagen and reduced subcutaneous fat. 'We also wear the history of contact with our environment – photoaging from UV light, oxidative damage from smoking and pro-inflammatory processes,' he said. In addition, as people become less mobile there is a tendency to spend more time indoors, where factors such as air conditioning dry the skin. Dr Carter noted that as the skin dries, the itch-scratch-itch cycle ramps up. This may be more relevant for someone who's not distracted by work, family and social interactions. 'If a person is required to spend long periods of time in bed, the clothing and bedding itself can be irritating. 'It can also be difficult for less mobile individuals to apply moisturisers to parts of the body affected. While this area has not been the subject of a lot of research, we should really have predicted an upswing in prevalence and problems,' he said. A combination of factors can lead to the development of atopic dermatitis, including alterations in immune response, inherited defects in the skin barrier, environmental irritants and allergens. Therefore early interventions involve avoiding triggers, restoring the skin barrier, and treating skin inflammation. Topical corticosteroids are the main treatment for atopic dermatitis in all age groups. They should be applied liberally to the affected area and then carefully massaged into inflamed skin. Regular use of emollients is also important to help restore the barrier function of the skin. New biologic agents may also have an emerging role in the management of severe atopic dermatitis. For more information, access the recent Australian Pharmacist article on atopic dermatitis. [post_content] => [vc_row][vc_column width="2/3"][vc_column_text] Parkinson’s disease is in the limelight this month, with World Parkinson’s Day on 11 April inspiring a series of events around the world to raise awareness and funds for the debilitating disease. With the prevalence amongst Australians set to increase in the coming years, pharmacists are ideally placed to play a pivotal role in optimising treatment outcomes. There is no known cause of Parkinson’s disease. Current treatments only address symptoms, not disease progression, although clinical trials for future treatments are in the pipeline. 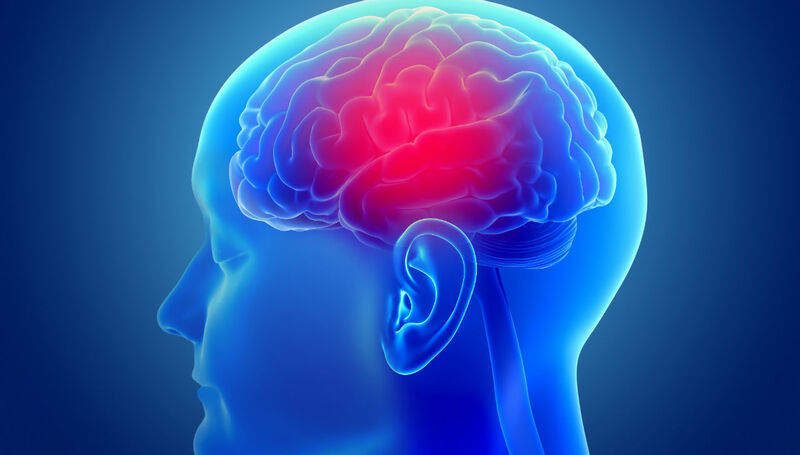 The disease, the second most common neurodegenerative disorder after Alzheimer’s disease, is often managed with numerous prescription medicines that vary between patients. Treatment can involve multiple daily doses and complex regimens. Michael Bakker, Team Leader Aged Care, Rehabilitation and General Medicine at SA Pharmacy and Board Member of Parkinson's SA, noted that it can be challenging for patients to understand the pressing need for medicine compliance in the early stages of the disease. ‘In the mild stages of the disease, people often won’t notice an impact from delayed medicines or even missing a single dose, but the importance of timely administration is significant in fragile disease control,’ he told Australian Pharmacist. Mr Bakker said that pharmacists are ‘perfectly trained and positioned’ to address medicine compliance in Parkinson’s patients, but noted that simply providing patients with information does not guarantee optimal outcomes. ‘The first step to changing poor medicines behaviour is to understand why the individual is taking that path. Don’t presume that lumping them with more information on what they should be doing will influence their actions,’ he said. He also cited the need for pharmacists to be aware of current research, which can change their advice for patients. Mr Bakker noted that there is a thought in the community that Parkinson’s disease is a set of diseases/symptoms that present very similarly, and that until now we have not been able to determine differences between them. Because of different presentations of the disease, individual patient experiences can be highly variable. Therefore, medication regimens often vary significantly amongst patients. Also, diagnoses can change over time. Mr Bakker said that, 'as healthcare providers, we need to understand this ourselves and also help the consumer to understand it. A pragmatic approach without trying to map the expected course of the disease is the healthiest outlook I could encourage'. To accomplish this, he encouraged pharmacists to listen to their patients. Noting that they often have a more detailed understanding of their symptoms than healthcare professionals. Pharmacists can also provide meaningful support by helping patients understand which aspects of their experience with the disease are affecting their adherence and response to the medicines. Pharmacists could encourage patients and carers to keep a symptom diary. Mr Bakker advises that patients shouldn’t fixate on symptoms. Rather, recording daily activities, food intake and general health can provide better insight into factors affecting adherence. This record can also provide signs that precede noticeable deterioration. The variable nature of the disease highlights the importance of the interpersonal relationship that pharmacists build with their patients. 'Get to know the person, not the disease. Understand that someone who presents may well be fighting internally to appear as ‘normal’ as they can', Mr Bakker said. Learn about people living with Parkinson's disease in a palliative care setting in PSA's Palliative Care Essential CPE. Cocaine has a long history of use in the treatment of pain and inflammation – and in recent decades as a recreational drug. Cocaine is an extract of the leaves of the coca plant, which has been grown in the Andes Mountains of South America and used by indigenous people in medicine for thousands of years. Use by indigenous people primarily involves chewing coca leaves mixed with lime (calcium hydroxide), and sometimes in combination with tobacco leaves, to alleviate pain, increase stamina, combat altitude sickness, relieve pain or inflammation, improve concentration or simply recreationally. Early Spanish explorers (and conquerors) at first ignored, then forbade the chewing of coca leaves until they discovered the stimulant properties of the leaves, levying a tax of 10% on the crop. But widespread use didn’t begin until after 1859 when German chemist Albert Niemann refined the process of extraction, naming his extract ‘cocaine’, after the coca plant. Doctors and chemists explored its analgesic qualities for medical uses, with one well-known proponent, Austrian psychologist Sigmund Freud, saying on use of the drug in his 1884 laudatory piece Über Coca, ‘You perceive an increase of self-control and possess more vitality and capacity for work. In other words, you are simply normal.’ Another well-known cocaine user was the occupant of 32B Baker St, the fictional detective Sherlock Holmes from the novels of Sir Arthur Conan Doyle, who wrote about the detective’s use of the drug when without a case to occupy him. Cocaine became one of the fad drugs of this period, and was available as powder or in cigarettes, tinctures, tea, drinks, injectable vials and hair tonic. It was even used in wine where the average dose per ounce (30 ml) was 7.2 mg of cocaine. Cocaine works on the body’s dopamine receptors, specifically the dopamine transporters, blocking the nervous system’s ability to reabsorb dopamine once it’s released, leading to a build-up of dopamine in the synapses. Physical reactions include increased heart rate, systolic blood pressure and pupil diameter, reduced skin temperature and reduced sweating. Cocaine concentration reaches its peak in the body about 5–10 minutes after dosing and will dissipate after about 60 minutes. Overdose is a risk and symptoms include difficulty breathing, high blood pressure, high body temperature, hallucinations, extreme agitation, heart arrhythmia, heart attacks, seizures and strokes. Cocaine is still used by a limited number of doctors to anaesthetise the lining of the mouth, nose and throat before conducting some procedures such as biopsies, suturing or wound cleaning. Redman, M. Cocaine: What is the Crack? A Brief History of the Use of Cocaine as an Anesthetic. Anesth Pain Med. 2011 Autumn; 1(2): 95–97. Freud, S. Classics Revisited: Uber coca. Journal of Substance Abuse Treatment. 1984. 1(3), 206-217. “It is cocaine,” he [Holmes] said, “a seven-per-cent solution. Would you care to try it?”. Doyle C. The Sign of Four. H. M. Caldwell Company. 1891. Peacock, A., Gibbs, D., Karlsson, A., Uporova, J., Sutherland, R., Bruno, R., Dietze, P., Lenton, S., Alati, R., Degenhardt, L., & Farrell, M. 2018. Australian Drug Trends 2018: Key findings from the National Ecstasy and Related Drugs Reporting System (EDRS) Interviews. Sydney, National Drug and Alcohol Research Centre, University of New South Wales. [post_content] => Since 1 April, medicines crucial to those suffering from cancer, Parkinson’s and motor neurone disease have become available on the Pharmaceutical Benefits Scheme (PBS). The listed medicines include brentuximab vedotin (Adcetris), safinamide (Xadago) and riluzole (Teglutik). Safinamide is administered orally in tablet form, and the dose may be increased based on clinical need. Dose adjustment is required for patients with moderate hepatic impairment, and safinamide is contraindicated in severe hepatic impairment. Safe use has not been established in patients under 18 years of age. Serotonin syndrome has been reported when safinamide is used concomitantly with other serotonergic agents. Safinamide may potentiate the adverse effects of levodopa and other dopaminergic drugs, including dyskinesia. 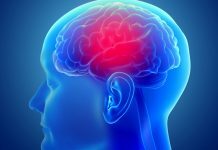 Levodopa dose reduction may mitigate dyskinesia. 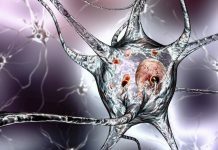 Riluzole (Rilutek), is now accessible on the PBS for patients with amyotrophic lateral sclerosis, a progressive motor neurone disease causing muscle degeneration and weakness. Riluzode is likely to benefit more than 1,300 Australian patients, and will be used primarily in acute care settings. Riluzole is administered orally. Its bioavailability is reduced by food, so it should not be taken before or immediately after meals, particularly when high in fat. [post_content] => [vc_row][vc_column width="2/3"][vc_column_text]While around 176 million women worldwide suffer from endometriosis, awareness of the condition amongst both the public and healthcare practitioners remains low. Pharmacists can make a valuable impact by raising awareness of the symptoms of endometriosis and providing support to sufferers. Endometriosis occurs when the uterine lining grows outside of the uterus. This usually occurs in the pelvic or abdominal cavities. The condition mostly affects women aged 25–35 years. While the etiology is unknown, Centre for Chronic Disease Management Director Dr Hanan Khalil previously suggested that risk factors include: family history, starting menstruation before the age of 12, experiencing periods lasting more than seven days, immune system disorders and abdominal surgery that can disrupt the endometrium. 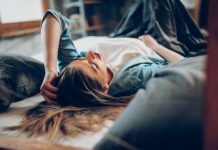 Pharmacist and lecturer at Griffith University, Denise Hope told Australian Pharmacist that there are a number of symptoms that might suggest a woman is suffering from endometriosis. These include period pain that is described by the patient as ‘congested’ or ‘bloated’, heavy bleeding, recurring or chronic pelvic pain, deep dyspareunia and recurring bladder or bowel symptoms. Ms Hope said delays in diagnosis are often linked to a lack of knowledge amongst the public about the condition, which many patients initially believe to be intense menstrual cramps requiring over-the-counter medicine. The most definitive diagnosis is via laparoscopic surgery and biopsy. However, this procedure is often delayed until there has been a significant impact on the woman’s quality of life. It is therefore important that pharmacists are aware of the symptoms of endometriosis, and can ask patients targeted questions. ‘If we are able to delay disease progression, we can improve the quality of life and minimise the impact of advanced disease including infertility,’ Ms Hope said. This week a series of events will take place around the world, as part of EndoMarch, aimed at increasing the awareness of endometriosis. These events are sorely needed. Endometriosis Australia estimates that, on average, it takes between 7–10 years for a woman to be diagnosed. This delay can result in years of pain and a diminished quality of life. Delay in diagnosis not only impacts the quality of women’s lives, but it can also lead to diminished treatment outcomes. Pharmacists are a key source of information on endometriosis, with their role in providing education, assisting women manage the symptoms and referring them for diagnosis and treatment. For more information on the condition, refer to the National Action Plan for Endometriosis. A range of apps enable pharmacists and patients to see and/or manage their medical information. As the benefits of My Health Record (MHR) become more widely known, its uptake and usage can be expected to grow. As pharmacists, we are well positioned to take a leadership role and guide patients on this topic, given our status as the most digitally enabled of all health professionals. It is important for patients who wish to play an active role in their healthcare, or carers of vulnerable patient groups (e.g. children, disabled, elderly, mentally impaired), to understand what information is available to them and how they can access and control access to clinical documents (shared health summary, discharge summary, pathology, diagnostic imaging), prescriptions (prescriptions issued and dispense uploads), consumer documents (patient health summaries, patient notes) and Medicare documents (e.g. immunisation register, organ donor status, Medicare benefits). How do patients access their MHR? There are two ways for patients to access their My Health Record. Can edit and revoke permissions to health organisations as needed. Tyde (privately owned) offers quick access to limited MHR information access, but no real-time alerts. Access is via PIN or biometric fingerprint. The MHR data feed is functional to a limited set of information. Healthi (privately owned by Chamonix Health Solutions) offers quick real-time access to limited MHR information, though offers no notifications or alerts (currently). HealthEngine (owned by Telstra) offers quick real-time access to MHR information with almost all data available. It is integrated with the current Face-to-Face Appointment Bookings system. HealthNow (also Telstra) also offers quick real-time access to limited MHR information (documents, immunisations, organ donor status, medications, allergies). Enables MHR details to be added to patient registration forms. My Child’s eHealth Record is led by the National Children’s Digital Health Collaborative Network. Though not currently taking new registrations, pharmacists can register their interest in states leading initiatives/pilot work. Initiatives include the Child Digital Health Record (replacing the hard-copy baby books), the Digital Pregnancy Heath Record (replacing the hard-copy records), and the Child Digital Health Checks (continuation of Digital Pregnancy Health Record and Child Digital Health Record up to the age of 12). What solutions are available for patients who want an online health record but don’t want an MHR? This stores health information on privately operated data centres in Australia. It is used in schools, sporting clubs and community organisations with a duty of care to collect, share and automate online health forms and medical records. It is free of charge for personal or family use. If in crisis, these apps can share critical health information with bystanders (or key contacts) direct from your mobile phone lock screen. Find them by going through the Health app on your phone. They contain emergency contacts and summarised health information. Discuss with your pharmacist team how accessing a patient’s MHR can be integrated into your existing dispensing process. Using a great smartphone app with your patients? Share your insights with your colleagues. Email australianpharmacist@psa.org.au and tell us about your experience and the results you’ve seen. [post_content] => [vc_row][vc_column width="2/3"][vc_column_text]A new MedicineWise program aims to increase the number of patients seeking help for anxiety and other mood disorders by educating healthcare professionals. Anxiety disorders, including panic disorder, agoraphobia, social anxiety disorder and generalised anxiety disorder, are the most common mental health conditions in Australia. According to a 2008 national survey conducted by the Australian Bureau of statistics the conditions affect 14% of people aged 16–85 years. But despite their ubiquity, a study has indicated that it takes Australians between the ages of 18 and 77 an average of 8.2 years to seek treatment for anxiety and mood disorders. Pharmacist, mental health researcher and lecturer at the University of Sydney Dr Claire O’Reilly, told Australian Pharmacist that there are many reasons why patients might delay seeking treatment for anxiety disorders, including a lack of awareness surrounding the condition. ‘The symptoms are a bit varied between the different types of anxiety disorders, so when we talk about anxiety there’s all sorts of different anxiety disorders and there can be a lot of crossover between them,’ she said. She said that community pharmacists could play an important role in recognising symptoms of anxiety in their patients, and encourage them to seek specialised treatment. The new program from NPS MedicineWise is based on new clinical practice guidelines from the Royal Australian and New Zealand College of Psychiatrists, and aims to equip healthcare professionals to perform a similar function by increasing their access to educational tools, including free one-on-one educational visits for GPs, access to a webinar, clinical audit, patient decision aid and other information for health. NPS MedicineWise told Australian Pharmacist that pharmacists working in general practice are invited to attend small group meetings to discuss therapeutic areas, including resources to support patient decision-making around medicines and health technologies. For practices enrolled in MedicineInsight, these facilitated quality improvement meetings that involve all practice staff, including pharmacists, and utilise individualised practice data to support interventions and to improve patient outcomes in general practice. Dr O’Reilly, who has consulted with NPS MedicineWise about the involvement of pharmacists in the program, welcomes educational opportunities for pharmacists in the area of anxiety. ‘I think pharmacists can upskill by learning about psychological therapies so that we’re informed when approaching people about treatment options. Pharmacists don’t necessarily have to be experts in this area, but it’s about having an awareness of the options and knowing where to refer people for help,’ she said. Dr O’Reilly said that education in this area is particularly important given the sensitive nature of mental health. While some patients might already suspect that they are experiencing anxiety, others could be more resistant. In these cases, she advised pharmacists to be aware of patients’ need for privacy, and offer to have a conversation with patients in a private area. She also stressed the importance of having information on hand, such as self-care cards, BeyondBlue information or NPS MedicineWise resources. There are also some PSA State offices that offer Mental Health First Aid courses. 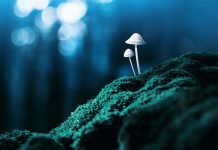 [post_content] => [vc_row][vc_column width="2/3"][vc_column_text]Psilocybin, a psychoactive compound found in ‘magic mushrooms’, is being trialled in the treatment of terminally ill patients to reduce symptoms of depression and anxiety at Melbourne’s St Vincent’s Hospital. The treatment has proven to be successful in several international clinical trials, including US-based John Hopkins University in 2016 and Imperial College in London in 2017. The St Vincent’s trial, headed by clinical psychologist Dr Margaret Ross, aims to provide relief for terminally ill patients – many of whom suffer from underdiagnosed mental health problems. Furthermore, these changes were sustained with 80% of participants continuing to show ‘significant’ decreases in symptoms of depression and anxiety at a six-month follow-up. fMRI scans revealed observable changes in their cognitive functioning. The St Vincent’s trial will commence in April, when a group of 30 patients will be given 25 mg of synthetic psilocybin alongside psychotherapy sessions. While more trials need to be conducted, the positive results suggest that with more research, psilocybin could be offered routinely for relief of anxiety and depression in terminally ill patients. 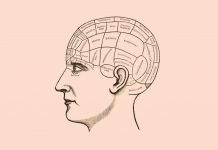 [post_content] => [vc_row][vc_column width="2/3"][vc_column_text]Lithium is an invaluable and lifesaving treatment for a range of psychiatric disorders, but its origins lie in patent medicine and the pioneering work of an Australian doctor. People have been flocking to hot springs of lithium-heavy water for their perceived health benefits for millennia, but it was not until the second half of the 19th century that modern medicine put the element to use. In 1859, an English physician described the use of lithium carbonate to treat gout by solubilising uric acid in the blood, as well as treating ‘brain gout’, or mental upset. Over the next few decades, some US and Danish doctors reported that lithium carbonate could calm patients with ‘general nervousness’, mania or depression.1 However, its use in medicine remained rare, with most use instead in food products. 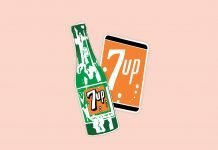 Until 1950, popular soft drink 7-Up2 contained lithium citrate and even beer3 was brewed with lithium-heavy water and promoted for its mood-enhancing abilities. However, both the real and perceived health benefits of lithium were overshadowed when lithium was prescribed to patients with heart disease as a replacement for salt.4 The resulting overdoses and deaths led to the US banning lithium as an additive in 1950. In 1949 in a Melbourne mental hospital for World War II veterans, Dr John Cade theorised the mania he witnessed in his patients might be linked to the high levels of uric acid he detected in their urine, in line with the 19th century theories about gout. He experimented with injecting the urine collected from patients demonstrating mania into guinea pigs, which subsequently showed signs of agitation.1 Guinea pigs that were subsequently administered lithium following the urine injections rapidly calmed. Shorter E. The History of Lithium Therapy. Bipolar Disorders. 2009;11. Fels A. Should We All Take A Bit of Lithium? The New York Times. 2014 September 13. At: https://www.nytimes.com/2014/09/14/opinion/sunday/should-we-all-take-a-bit-of-lithium.html?_r=0. Shepherd R. Lithia Beer returns to West Bend, expands across Wisconsin. Isthmus. At: https://isthmus.com/food-drink/beer/lithia-beer-returns-to-west-bend-expands-across-wisconsin/. Hardman JG. Limbird PB. Gilman AG. Goodman and Gilman's The Pharmacological Basis of Therapeutics. 10th Ed. New York. McGraw-Hill. 2001:507. Sachdev P. Let’s not put lithium in the drinking water just yet. Medical Republic. 2017 November 21. At: http://medicalrepublic.com.au/lets-not-put-lithium-drinking-water-just-yet/11998. Brunton L. Chabner B. Knollman B. Goodman and Gilman's The Pharmacological Basis of Therapeutics. 12th Ed. New York. McGraw-Hill. 2010:445. Mitchell PB. Hadzi-Pavlovic D. Lithium treatment for bipolar disorder. [Reproduced from The Medical Journal of Australia]. Bulletin of the World Health Organization, 2000;78(4):515. [post_content] => [vc_row][vc_column width="2/3"][vc_column_text]With community pharmacies feeling the squeeze, there has never been a more important time to provide continuity of care by building patient loyalty. Self-serve checkouts, online stores and banking through phone apps: these days there’s often little need to talk to a person when making day-to-day purchases or transactions. Fortunately, pharmacists can use these increasingly rare personal interactions to provide patient-centred service and foster continuity of care, bringing positive patient outcomes. The strength of a patient’s loyalty is primarily driven by the behaviour of the pharmacist treating them – not the price of the medication or the location of the pharmacy. And there’s no shortage of studies that reach this conclusion. A 2013 Gri­ffith University study found that patient-centred care, such as providing individualised medication counselling, continuity of care, development of relationships and respectful advice, emerged as the most important attribute when it came to retention of regular community pharmacy users. Additionally, a US study published in the Journal of the American Pharmacists Association found that a pharmacist’s patient-centred communication style had a major influence on whether a patient would return to the pharmacy. Associate Professor in Marketing at the QUT Business School Dr Gary Mortimer said while many customers seek pharmacies with lower prices, consumers are turning to pharmacy for healthcare solutions and triage prior to consulting their GP. ‘We see this mostly in consumers seeking access to flu jabs and health check-ups, possibly as a result of patients looking to avoid the high costs of seeing a GP for minor healthcare matters,’ said Dr Mortimer, who is currently working on the research topic ‘Clinical trials or pharmacist advice: The influence on health consumers’ perceptions of trust and decision making’. PSA NSW Branch Vice President Krysti-Lee Rigby MPS said that consumers also wanted value. But that does not necessarily mean being the cheapest. ‘Value can come from having engaged and competent staff, service that meets or exceeds expectations, the pharmacist being accessible, being able to trust their pharmacist, and of course convenience,’ Ms Rigby said. The relationship between pharmacist and patient should not be the transactional kind of relationship you have at your local convenience store, Dr Mortimer said. ‘Better patient healthcare outcomes result from ongoing, regular contact based on continuity of service and advice,’ he said. Ms Apolloni said this was particularly apparent in the chronic disease space, where often a one visit solution wasn’t possible. ‘If a patient is not dazzled by your pharmacy and team, they may not return and you’ve missed an opportunity to build a therapeutic relationship with that person and contribute positively to their healthcare,’ Ms Apolloni said. Dr Mortimer suggests pharmacies take a five-stage approach to maximising holistic care opportunities, starting with establishing integrity. ‘Pharmacy must consistently deliver open and honest information across all touch points with consumers. Integrity cultivates trust between the patient and the pharmacy retailer,’ he said. Pharmacists and assistants then need to provide expert advice around purchasing decisions. The third ingredient for maximising holistic care opportunities is ensuring the security of personal data, said Dr Mortimer. And fourth, pharmacies need to demonstrate competence. ‘Trust and continuity of care decrease when the consumer perceives that the pharmacy is incompetent in its dealings with them,’ he said. Finally, and most importantly, said Dr Mortimer, the pharmacy must exhibit benevolence. Ms Apolloni added that being genuinely present and interested in a patient was another important precondition for holistic care. ‘We have many competing priorities, but it takes very little extra time to really listen and repeat back key pieces of information,’ she said. One way pharmacists can deliver more holistic care and maximise time with patients is by harnessing the power of technology. Robert Read is CEO of MedAdvisor, a mobile and web app that manages all aspects of prescription medication use. 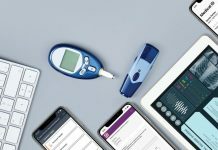 One of the advantages of this type of digital solution, said Mr Read, was that it prompted patients when it was time to re-order their medication. ‘And 50% of orders from the app go into the pharmacy outside of business hours,’ he said. ‘It’s really busy at the dispensary and pharmacists are doing all this processing work and not spending time talking to the patient about all the various things they might be eligible for,’ Mr Read said. Mr Read said their research showed more than 90% of patients stayed loyal to the pharmacy that signed them up to the app. ‘Not only does it play a big role in driving loyalty, but it improves a patient’s adherence to their medication,‘ he said. Another way pharmacists are spending more time in front of patients is by purchasing an automated dispensing cabinet. Pharmacy owner and technology consultant Robert Sztar MPS said the cabinets could free up your staff to deliver high-quality services, while the dispenser tackles the more routine tasks. Making patients aware of additional services they’re eligible for is an important part of providing holistic care, but Dr Mortimer said pharmacists need to be aware that not all up-sells are appreciated – especially product-based ones. ‘It frustrates consumers. They’ll pop in to collect a prescription and be up-sold OTC products, cosmetics or skincare products,’ he said. While consumers do not necessarily become loyal to a particular brand or pharmacy, they do become loyal to what the business stands for, Ms Rigby suggested. Establish integrity. Consistently deliver open and honest information across all touch points with patients. If delivered well, integrity cultivates trust between you and the patient. Provide expert advice. Patients have access to significant amounts of information in the digital day and age. If the information you deliver is inaccurate, the patient-pharmacist trust relationship can be quickly damaged. Keep patients’ personal data secure. While cyber-attacks will continue to be reported in the media and become more sophisticated, pharmacy needs to communicate assurances to their patients that their systems are robust enough to defend these attacks. Demonstrate competence. Trust and continuity of care decreases when the consumer perceives that the pharmacy staff appears incompetent. For example, being unable to perform transactions e­fficiently, losing prescriptions or failing to keep promises. Exhibit benevolence. When a pharmacy demonstrates or promotes actions that indicate the support of the welfare of others over financial outcomes, consumers develop stronger levels of trust. A simple example includes offering healthcare advice to an elderly patient, with no intention of creating a sale. Be genuinely interested. While pharmacists have many competing priorities, it takes little extra time to be genuinely present and interested in your patients. Really listen to what they say and repeat back key pieces of information to the patient. Leverage technology. Consider investing in technologies that will allow you to spend more face-to-face time with patients. Options include web and mobile apps such as MedAdvisor or an automated dispensing cabinet. Stand for something. Consumers don’t often become loyal to a particular brand or pharmacy. They’re much more likely to become loyal to causes. So make sure you have clear missions and values and show consumers what you stand for. Mina Naguib MPS is a General Practice Pharmacist, Aged Care dispensing Pharmacist and Medication Management Review Pharmacist, placing him on the frontline of medicines safety. Describe your work as a General Practice Pharmacist. I am a consultant pharmacist who works as part of a general practice team to improve the quality use of medicines and the health outcomes for patients. I work at two general practice clinics in outer North West Melbourne. Patients are referred to see the General Practice Pharmacist by the doctors working in the clinics. They are generally people on multiple medicines living with chronic diseases. How did you begin working in general practice? I first registered as a pharmacist in 2007, and since then I have worked in community pharmacy. Around 2015, I decided that I wanted to develop my clinical knowledge, so I undertook a Graduate Certificate of Diabetes Education and Management at Curtin University. I then began the journey of becoming accredited with the Australian Association of Consultant Pharmacy. During 2016, I volunteered one day a week at a GP clinic in Maribyrnong, Victoria to talk to patients about diabetes and diabetes medicines. The doctors at the clinic soon started referring patients, with or without diabetes, to me. After I became accredited, I became the GP clinic’s Medication Management Review Pharmacist. In 2018, the lead GP joined two clinics in Melbourne’s north-west taking part in a PSA-managed General Practice Pharmacist pilot funded by the North Western Melbourne Primary Health Network. I was given a role in the pilot as the General Practice Pharmacist due to my history with the clinics. This is one of a number of pilot projects that integrate General Practice Pharmacists into GP clinics. Pharmacists are also employed in GP clinics outside of these pilot programs. These pilots have helped demonstrate the value of General Practice Pharmacists, who will become a part of the Workforce Incentive Program from 1 July 2019. There are new PSA General Practice Pharmacist training and practice support tools in the works. What do they entail? There are three new sets of General Practice Pharmacist service delivery guidelines under development. Apart from the current foundation stage training, PSA will also offer an advanced stage training program for General Practice Pharmacists that will allow pharmacists to adjust the course to suit their own professional development needs. There is also a range of practice support tools to assist pharmacists who are working in the general practice setting. The tools address areas such as scope of practice, position and role descriptions and general practice needs assessments in this space. The General Practice Pharmacist is a relatively new phenomenon in Australia. General practice staff often don’t know what pharmacists do apart from dispensing. The support tools will help to inform practice teams about what pharmacists can do as well as support General Practice Pharmacists in similar pioneering roles to integrate into the general practice team. The Pharmacists in 2023 report strongly recommends embedding pharmacists in aged care and general practice. Why is this a positive move? From my experience as a dispensing pharmacist in aged care, there’s a lot that goes unnoticed in terms of medicines reconciliation. Having a pharmacist doing rounds with the doctors assists appropriate and quick decision-making. It’s also important to have a pharmacist to conduct chart audits and medicines reconciliation – ensuring that the chart is accurate, and what the residential care chart says is actually what the patient takes. In general practice, having a pharmacist with their expert knowledge about medicines as part of a healthcare, primary care or general practice team improves the quality use of medicines. We get a lot of queries from doctors who are consulting with patients who need on-the-spot medicines information before they write a script. I arrive at the clinic. I go through my appointments and examine the records and notes of the patients that I will see that day. I start seeing patients. During these consultations, I conduct medication reconciliation and medicines reviews. My interventions may include identifying a medicine interaction or use of an inappropriate medicine. I’ll then suggest an alternative therapy or better dosage form, and recommend an indicated but missing therapy, pathology reviews and patient education in terms of disease state and medicines use. This part of the day is spent conducting medicine use evaluations, participating in case conferences, answering medicine queries and reviewing hospital discharges. I liaise with community pharmacists to identify discrepancies between the clinic’s records and what the patient actually gets dispensed. Community pharmacists are one of the most accessible health professionals in Australia and having a discussion with them is valuable in identifying what might or might not work for a particular patient. I go through my emails and finalise my recording notes in patient files. I’m done at the GP clinic for the day. Now I’m off to conduct some Medication Management Reviews. This is a time for me to write up reports of the Medication Management Reviews that I’ve conducted that day, or I head to the community pharmacy where I regularly work if I’m needed there. Tara Hehir MPS works as a locum pharmacist and an International Pharmacy Federation representative. This means different roles, such as IVF dosing and aged care, and plenty of travel. Describe your work as a locum. I’ve been doing it for 10 years now. I typically work short stints of around a week, but sometimes they can go up to six months, depending on where I’m needed. I work in different locations, both rural and urban, and each require me to fill different roles. One place might be heavily focused on aged care services, and others on IVF dosing or compounding pharmacy. In rural settings, it’s usually a community pharmacy role. Each place I work has its own unique quirks and I’ve had to pick up various skills for each setting. Tell us about the IVF dosing space. One of the pharmacies I do locum work with has a contract with an IVF clinic. I needed to learn how to counsel the patients who come in to pick up their medicines. The instructions are quite specific, covering things such as how to administer, prepare and store the medicine. My role involves a fair amount of communication with other health professionals including doctors and the nursing team, alongside one-on-one interactions with patients. I liaise with the nurses about patients’ blood results and treatment plans and ensure medicines are ready for patients when they need them. I also determine where patients would like to collect their medicine from or whether it needs to be delivered. For example, some patients need additional medicines to increase or decrease levels of hormones. This information needs to be communicated to the patient along with advice on how to use the medicine. The role is very collaborative. What are some of the challenges you face day-to-day? Sometimes I’ll be working at the IVF services pharmacy one day and then I’ll go to the aged care services pharmacy another. It can be quite a big shift, and I have to get up to speed quickly. When I take on a rural role, I’ll often go somewhere I haven’t worked before and don’t know the staff. It’s important they trust me, so that when people come in to ask for advice, they feel comfortable approaching me. It can be challenging, but it keeps things interesting. What’s the most fulfilling part of your job? It always feels good when I can counsel a patient in a way that is going to help them improve their health. For example, when I have encouraged an older patient with a swollen ankle to discuss their medicine with their doctor, and their condition has improved when the medicine is ceased. It’s about helping individual patients and making them feel better. Tell us about your work with the International Pharmacy Federation (FIP). FIP is a big, intricate organisation, with lots of different sections. I became a member back when I was a student, as I was heavily involved in the International Pharmaceutical Students’ Federation (IPSF). What began as a networking opportunity as a delegate became my current work as a secretary of a section. I was first involved with the young pharmacists’ group, as Chair of Public Relations, and I was then encouraged to run for the Chairperson’s role. As a Chair you get invited to the Board of Pharmacy Practice and Board of Pharmaceutical Scientists meetings in the Hague, Netherlands. I’ve been a member of the social and administrative pharmacy section for the last four years. I was officially elected as secretary last year at the annual congress in Glasgow. Would you consider practising internationally? I’m actually a registered pharmacist in Ireland. For a few years I was doing six-month stints there, an endless summer of sorts – if the Irish version counts as summer. It’s tricky to work as a pharmacist overseas – I don’t have an EU registration or qualification. But, if the right opportunity came up, I would certainly consider it. Want to access guidelines, professional standards and practice tools to support your practice? I first check emails for the daily orders. These may be IVF orders or residential aged care facility (RACF) orders, depending on where I’m working. In a community pharmacy, I open the pharmacy, reply to the Medadvisor texts that have arrived overnight, and dispense prescriptions for early patients. By now I’m processing orders and bagging them up ready for delivery. I check early RACF orders before the driver arrives, check meds charts, stock orders and Webster-pak changes that need to go. I might take a phone call from a patient asking for a delivery. Then take a phone call from an IVF patient wanting to know if we got her order. I would check our IVF stock and do a top-up order before cut-off. I dispense scripts for patients. Talk to a mum about her child’s rash. Talk to another patient about their conjunctivitis. Meanwhile, I try to put away the stock order that has been delivered. I double check all the charts and changes from RACF orders, then make sure that the orders are placed in the correct tubs for delivery, write up the delivery dockets for the S8 medicines, and check any Webster-pak changes. Towards the end of the day I run a report on the day’s medicine usage and check against stock. I leave the shop, then go to a patient’s home to conduct a Home Medicine Review. As the Early Career Pharmacist Director on PSA’s Board, Lauren Burton MPS is committed to supporting young leaders and seeing the future of pharmacy flourish. Watch this space. How did your pharmacy journey begin? I began my career as a casual community pharmacy assistant during my high school years in Melbourne. I stayed on in community pharmacy while completing my undergraduate degree and my Master of Pharmacy at the University of Western Australia (UWA) when I relocated to Perth. The next step in my career came when I made the move to Sir Charles Gairdner Hospital as a pharmacy intern. It’s a tertiary teaching hospital in Perth with over 600 beds, various specialisations and a growing pharmacy department. I’m still there today, working as a P1 pharmacist. Pharmacy has grown from a casual job into a lifelong career and an absolute passion. It satisfies my dual interest in science and serving the community. I’m drawn to both the positive impact medicines can have on people’s health, but also the dangers they can pose when they aren’t used correctly. And now you’re on the PSA board. Yes! I’ve been involved with PSA for over five years. When I was at UWA I responded to a call for a student representative from the university cohort and became part of my local Early Career Pharmacist (ECP) working group. About 18 months ago, I took on the role of chair and was voted onto PSA’s WA branch committee. Why did you decide to transition to hospital from community pharmacy? My love of the profession definitely grew from working in community pharmacy, but the networks that I was exposed to during my degree gave me a taste for hospital pharmacy. The real drawcard was the opportunity to enter as an intern and get exposure to the different aspects of the health sector. I’m also really interested in systems and the role that acute, primary and rehabilitative care all play in keeping people healthy. Working in acute care, I was able to build on my experience of the primary care setting and understand the patient’s journey through the healthcare system a bit better. Transitions of care is such a high-risk area and knowing what goes on in the hospital setting, I’m empowered to advocate for change. I still love community pharmacy and continuing my understanding of this setting makes me a better hospital pharmacist. What is your next big project? I’m working on three big things at the moment, the first being my workplace project. I’m part of a system-level project which is designed to improve the management of controlled substances within the area health service model I work in. It’s critically important that these systems are efficient so that staff can go about caring for patients and not have to worry about technicalities. Manual systems aren’t sustainable and a robust, closed-loop, electronic management system will ensure medications are being used safely and appropriately when required. This project spans governance, procedures and policies, analgesic stewardship, the role of electronic medicines management solutions – and will provide staff and patients with support and education to function within that system. With regards to ECP, I’m determined to bring the spotlight to the emerging pharmacy thought leaders we have in the profession. Many young pharmacists are highly skilled and committed to trying new ways to deliver a pharmacy service to patients. I want to create platforms to ensure that their ideas are heard. We will have an ECP dedicated event at PSA19, for example, with a panel of ECPs from across the country working in various practice settings who will share their insights. I’m also working on realising the PSA Strategic Intent, released in 2018, with the team at PSA. It focuses on roles, recognition and remuneration in the profession. What are some of the main challenges that ECPs face in the future? A key challenge is career pathways. We’re attracting some really passionate and committed people to pharmacy, but their role in medicine management can seem unclear without robust career pathways. As addressed by the PSA Strategic Intent, pharmacy needs formal roles and the embedding of specialists within the system by acknowledging different levels of expertise. Remuneration is also an important issue. We can develop all these wonderful roles for pharmacists, but it’s not sustainable if they’re not adequately remunerated. It’s really important that the resourcing matches the level of risk that pharmacists are faced with and the contribution made in the management of polypharmacy, an ageing population and a health system that’s under stress. 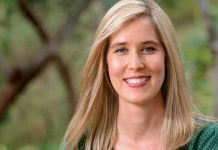 [post_content] => [vc_row][vc_column width="2/3"][vc_column_text]The same day Jessica Chapman-Goetz MPS became a registered pharmacist in late 2015 she received a diagnosis for breast cancer. But she wasn’t about to step away from the job she loved, and has come to understand the integral role that pharmacists can play in providing supportive care for oncology patients. How did you manage your treatment while working as an early career pharmacist? It certainly wasn’t easy, but I made a decision that I wanted to try and limit the impact that breast cancer was going to have on my life. So I would organise treatment on a Friday afternoon, try to be back at work (at TerryWhite Chemmart Grange, in South Australia) by Tuesday, and then I was able to work full-time for about two and a half weeks before the next round of treatment. It was important for my mental health to work during treatment and be surrounded by my co-workers and beautiful community. In what ways did your personal experience inform how you approach oncology care with patients? As a patient I was observing what information was given at different stages and who provided it. I noticed that quite a lot was lacking. I also noticed that a lot of women were using online breast cancer forums to ask about the management of common chemotherapy adverse effects, and often the answers were not evidence-based. That prompted me to investigate how pharmacists feel about providing supportive care in the community for oncology patients. I found that a lot of community pharmacists feel a bit apprehensive about it because they’re not sure exactly what treatment the person is on, or what it’s for. They more commonly refer to a GP because they feel more comfortable doing so than, say, managing basic mucositis themselves. You said you noticed that quite a lot was lacking in terms of information. How can pharmacists help fill the gap? Pharmacists can help make sure patients are getting information as they go through their journey, rather than all at once at the time of diagnosis, which is what commonly happens. Along the way, pharmacists can provide support and prompts by saying, ‘Okay, how is your mental health going? Have you thought about calling Cancer Council for services there? How are you going with side effects?’ Also, check what medicine information the oncology team has given the patient and, if there are gaps, offer to provide education from resources like EviQ (www.eviq.org.au). I didn’t receive anything from my oncology unit in terms of printed medication lists, and I know many other patients haven’t either. What role could pharmacists be playing in assisting with treatment? The biggest gap would be managing what would be termed ‘minor’ adverse effects from chemotherapy, whether it’s oral or intravenous. Often the oncology patient will feel like it’s too minor to bother the oncologist, or they’ll call the oncology nurse which takes them away from caring for inpatients. But often these minor adverse effects are something a pharmacist could really assist with. If patients aren’t managing side effects such as small mouth ulcers, they can progress to the point where they can’t eat. And if you’re having multiple side effects at one time it really doesn’t take much for you to feel like everything’s too much. So pharmacists can make a big difference. 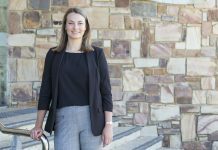 You’re now working as a hospital pharmacist at Flinders Medical Centre in Adelaide, but you’re continuing to explore ways of improving care for oncology patients. How? I’ve done the Cancer Pharmacists Group Foundation Course with the Clinical Oncology Society of Australia (COSA). I could do stage two, which would make it easier for me to work in hospital oncology, but at the moment I don’t know that I want to do it full-time – it’s still a little bit close to home. Instead I’m really enjoying empowering other pharmacists to provide supportive oncology care. I started off with a presentation here in Adelaide just with some peers. I’ve also spoken in Whyalla, Alice Springs and Darwin, and I’m going to be presenting at the TerryWhite Chemmart masterclass in April. I’ve also established connections with the Cancer Council to increase pharmacist involvement in allied healthcare for oncology patients. [post_content] => [vc_row][vc_column width="2/3"][vc_column_text]It took a trip to Canada, but Danielle Bancroft MPS went from community pharmacist to Product Manager and User Experience (UX) Designer at Fred IT Group. We spoke to the self-described ‘tech ninja’ about her unconventional career pathway. You hold a Bachelor of Pharmaceutical Science and a Masters of Pharmacy. How did you end up in the tech world? After university I was working as a locum pharmacist and my brother and I were discussing moving to Canada. So I did the qualification exam to work there as a pharmacist, but then I was short on money. I thought I’d get some extra cash working part time and saw an advertisement for a software company support team role for people with healthcare industry experience. During the interview they put a piece of XML (a computer and website coding language) in front of me. I had never studied technology but I noticed the pattern looked like a prescription. That got me the role! On my first day I discovered we were working on a new e-prescriptions program. At what point did you decide to pursue UX more seriously? I worked at that software company for three years and then I got a role at FRED, where I worked in the eRx script exchange team as a product specialist. But I wanted to understand more about the software we were building, not just the business side, so I decided to do a diploma of software development. Through that I got to understand more about UX design – where you actually look at how a user interacts with your products – and human-centred design. I really grew a passion for it. You’ve been at FRED seven years now. What has satisfied you the most? Being involved in delivering real-time prescription monitoring in Victoria through SafeScript. It’s really satisfying not only to see my workflows in design and production, but also to hear feedback from practitioners and the community that this product actually does save lives. What’s the most challenging thing you face day-to-day? The software industry is undergoing continual change and improvement. So the biggest challenge is making sure you’re not only planning for what’s next, but you’re making sure you don’t lose sight of continually evolving and improving current products and customer experience. What do you wish you’d known earlier in your career? That you don’t need to have technology knowledge, or be some super computer nerd, to be successful in this industry. As pharmacists, you already have the core soft skills – you analyse on a daily basis, problem solve, you’re constantly looking at outcomes and how to better improve them. Arrive at work at the office in Abbotsford, consume first coffee of the day, go through emails. Attend daily product stand-ups with development team. Stand-ups are progress meetings – they’re a good opportunity to hear what everyone is working on and if there are any blockers or issues. Then it’s teleconferences or status meetings with external customers, project teams or internal project teams. We discuss where the current work is at, any new requirements, upcoming workshops, and demonstrate work and functionality of projects we’ve built so far. Consume second coffee! Time to concentrate on design. I work through user experience research and customer journeys, translate user workflows and mock up potential screen designs. More emails. Third coffee. I either attend various internal and external meetings, head out on site to review prototypes, gather new ideas and feedback, or attend workshops with customers and stakeholders. When not in meetings, I prioritise product backlogs, ensure the team is on track to deliver work, and keep product roadmaps up to date. If there’s urgent work I like to stay back. Otherwise I often head out to a design meetup or an industry-related workgroup. Parkinson’s disease is in the limelight this month, with World Parkinson’s Day on 11 April inspiring a series of events around the world to raise awareness and funds for the debilitating disease. With the prevalence amongst Australians set to increase in the coming years, pharmacists are ideally placed to play a pivotal role in optimising treatment outcomes. Michael Bakker, Team Leader Aged Care, Rehabilitation and General Medicine at SA Pharmacy and Board Member of Parkinson’s SA, noted that it can be challenging for patients to understand the pressing need for medicine compliance in the early stages of the disease. Mr Bakker said that, ‘as healthcare providers, we need to understand this ourselves and also help the consumer to understand it. A pragmatic approach without trying to map the expected course of the disease is the healthiest outlook I could encourage’. To accomplish this, he encouraged pharmacists to listen to their patients. Noting that they often have a more detailed understanding of their symptoms than healthcare professionals. ‘Get to know the person, not the disease. Understand that someone who presents may well be fighting internally to appear as ‘normal’ as they can’, Mr Bakker said. Learn about people living with Parkinson’s disease in a palliative care setting in PSA’s Palliative Care Essential CPE. Get your weekly dose of the news and research you need to help advance your practice. Are you a healthcare professional (HCP)? Australian Pharmacist is the official journal for Pharmaceutical Society of Australia Ltd.